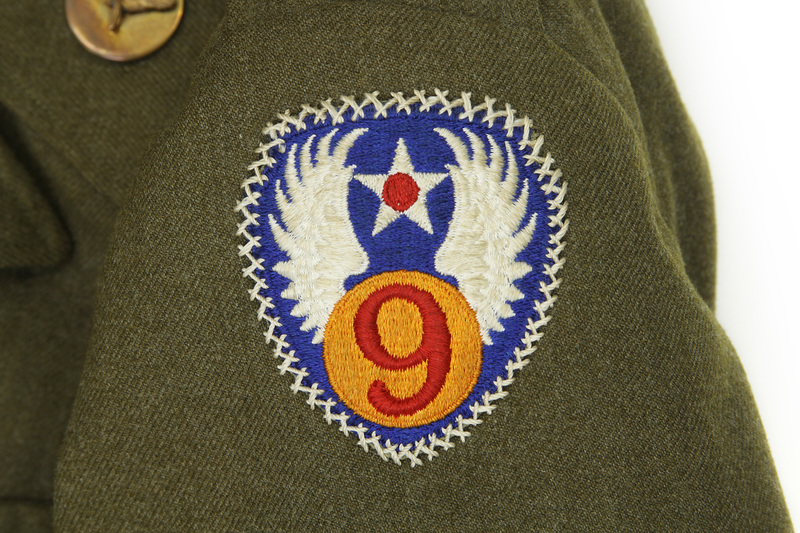 Winfield E. “Bing” Wood was a WWII aerial engineer. His wool Ike jacket has Airborne Troop Carrier and engineering patches on the right sleeve, a Ninth Air Force patch and five overseas service bars on the left sleeve, and U.S. Army technical sergeant stripes all sewn on with decorative herringbone stitching. 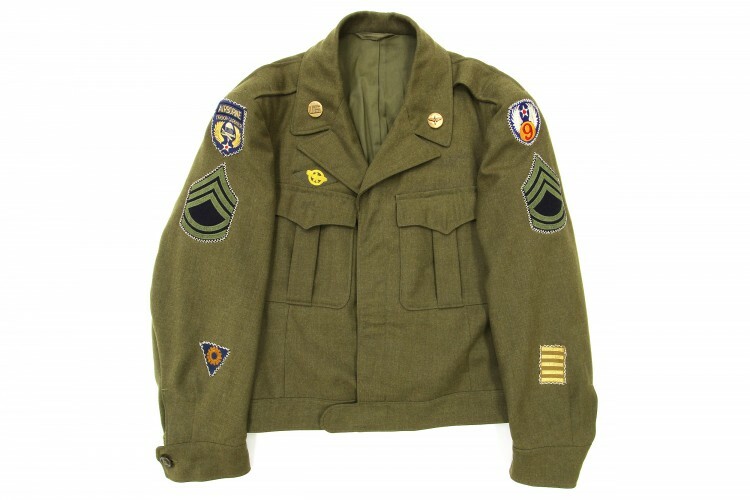 Over the right pocket is a discharge emblem. 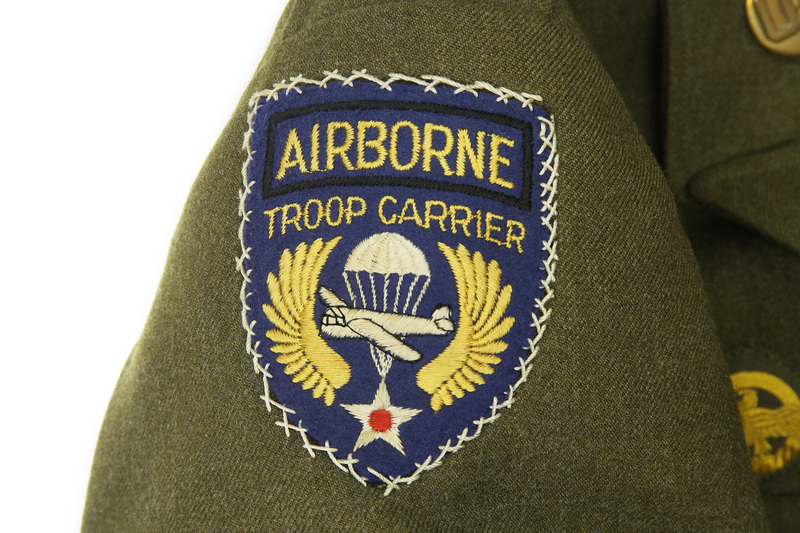 Any reason why the aircrew wings and ribbons are not on the jacket in the picture? 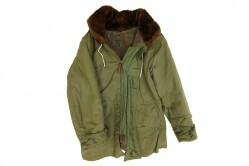 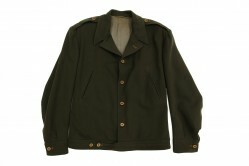 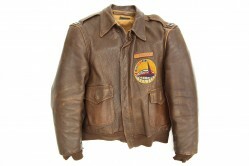 We did not receive the wings and ribbons when the jacket was donated to the museum by Bing Wood.